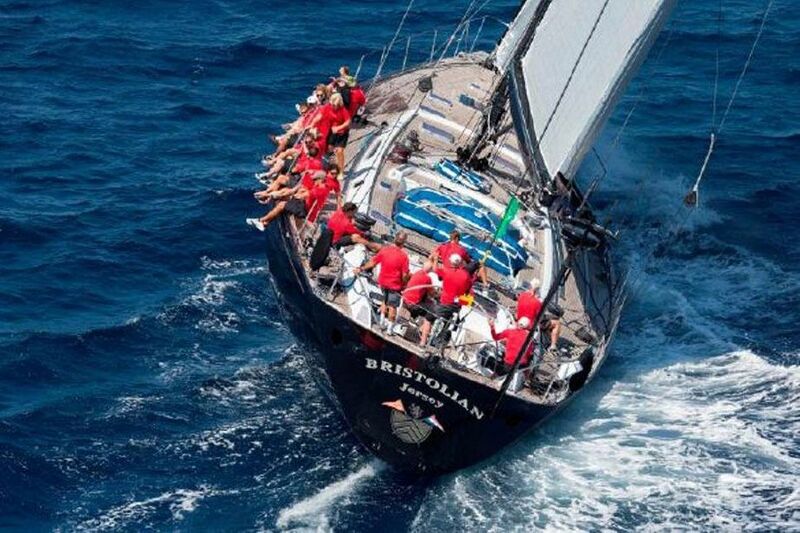 Sailing yacht BRISTOLIAN (ex Mari Cha II) is a CNB measuring 29,00m (95' 1"). 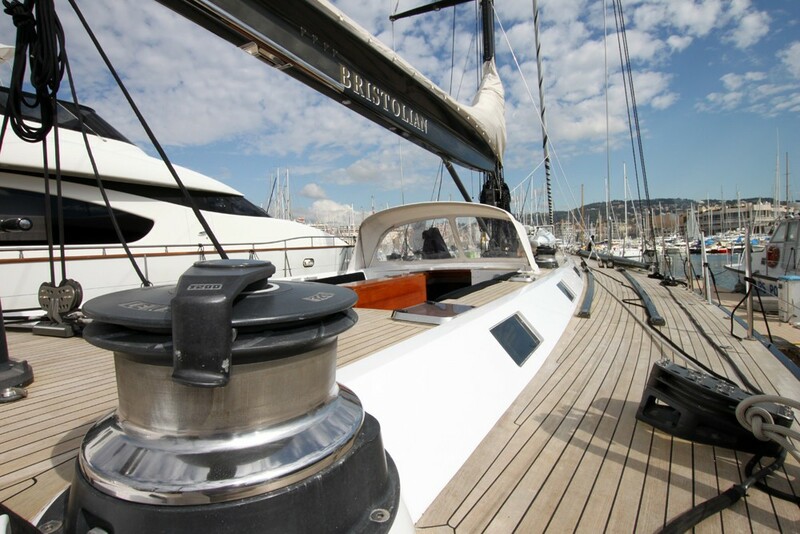 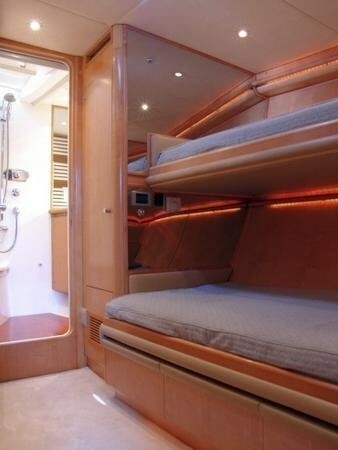 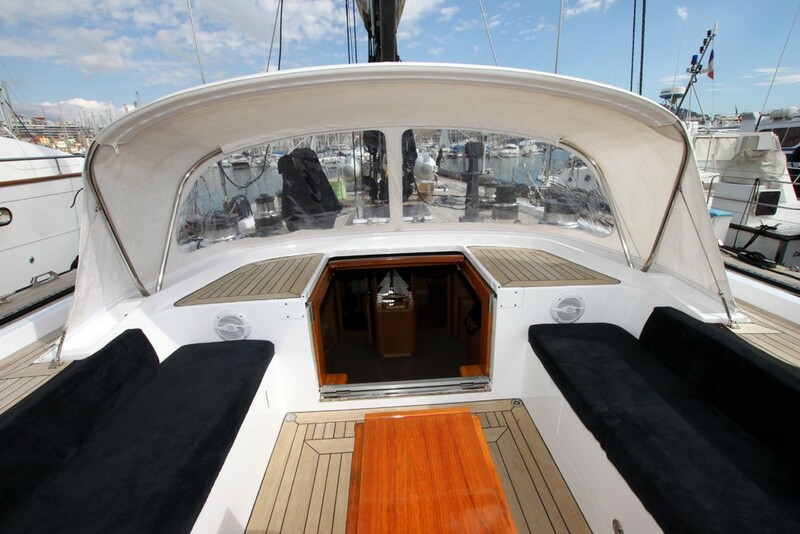 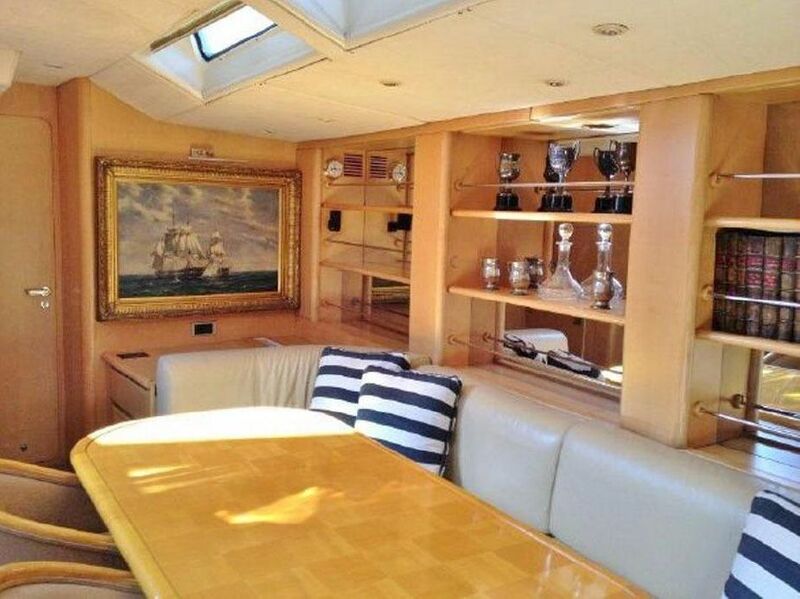 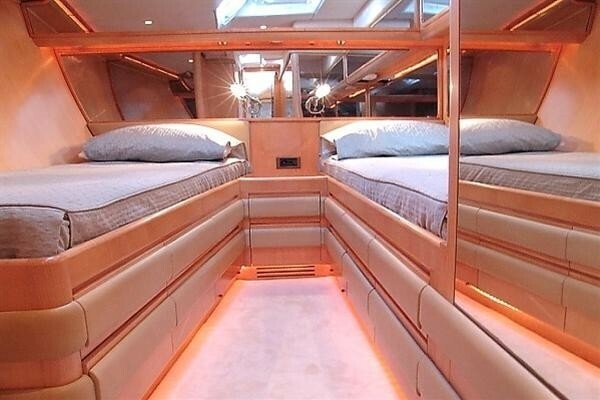 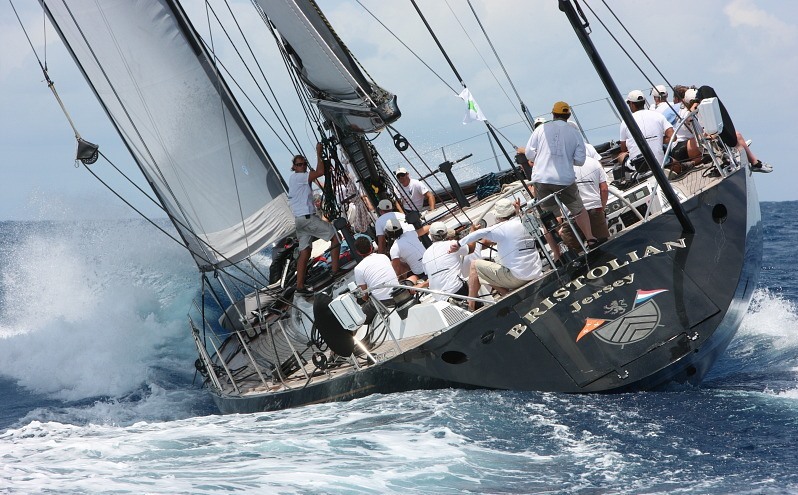 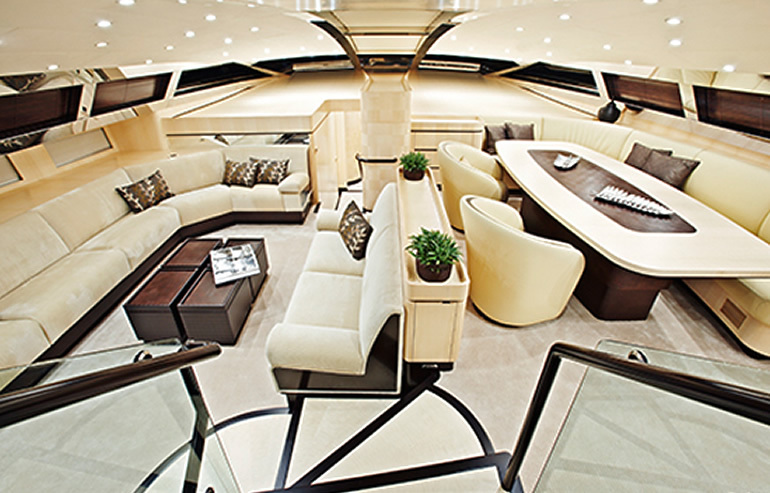 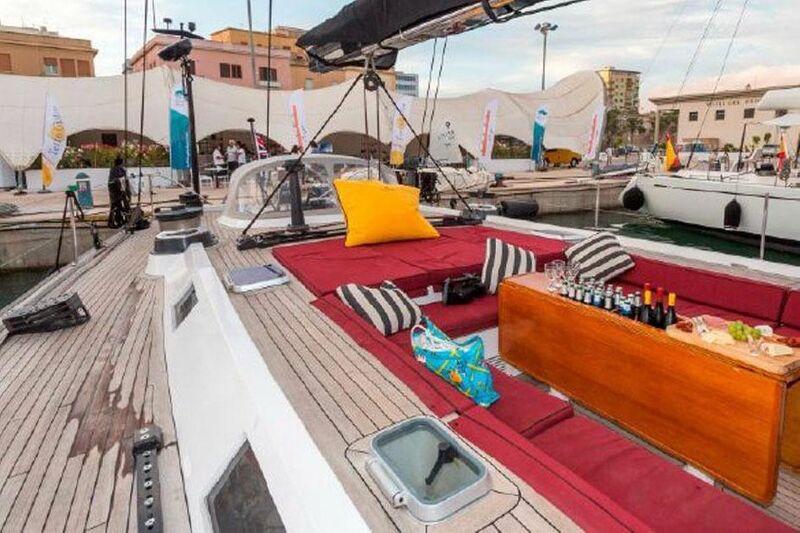 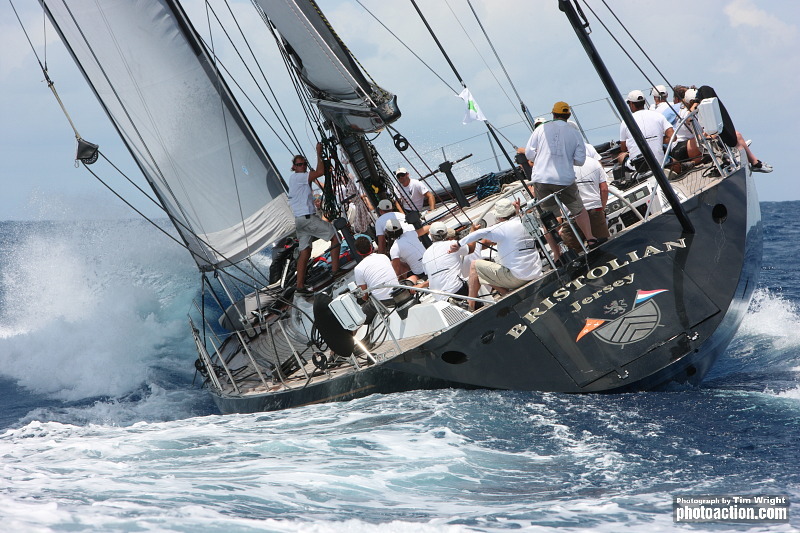 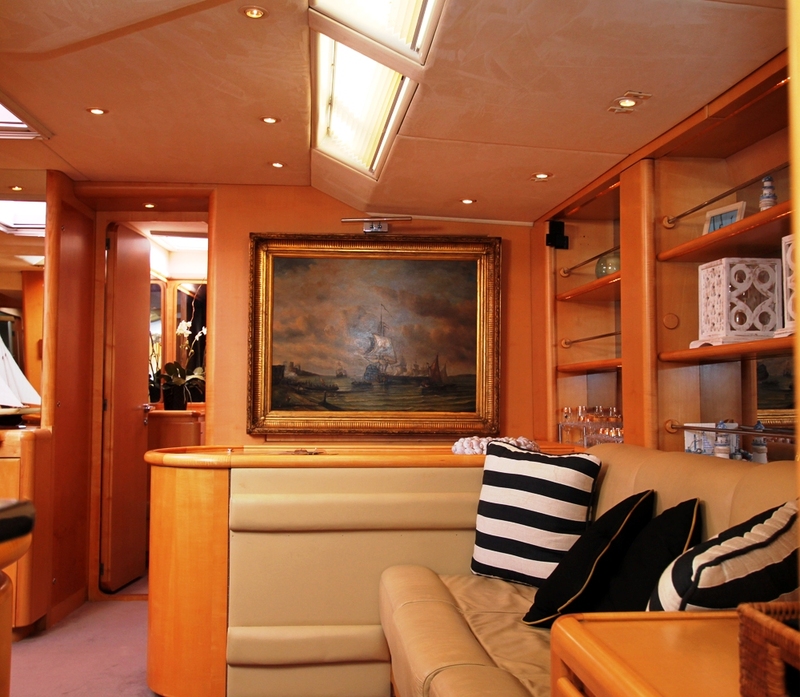 Life on board is luxurious in every way and she equally offers great fun and superb chances on the race course. 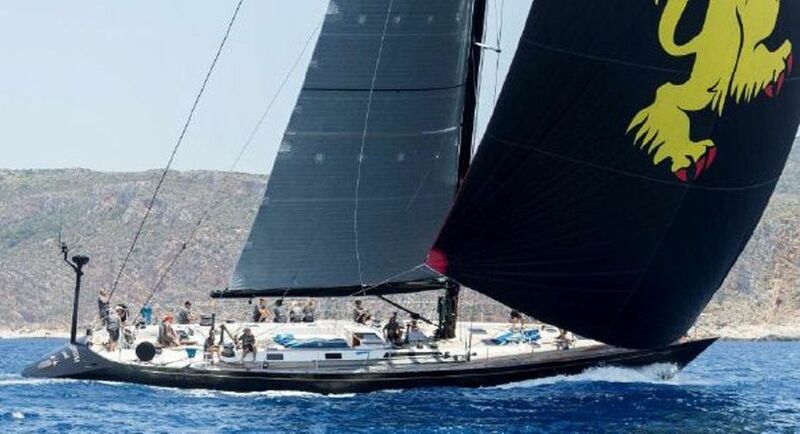 This shiny jet black sloop is timeless and received a major refit in 2003 as well as smaller refits over the years, and maintained perfectly. 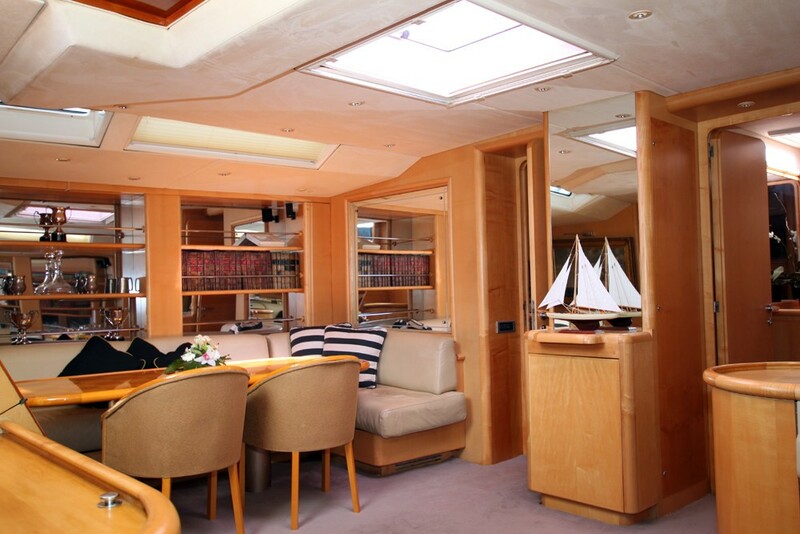 She has benefited from a particularly high standard of build and fit out – her design also incorporated what was at the time innovative ideas such as the fold out anchor arm, fold down the bathing platform and many other features. 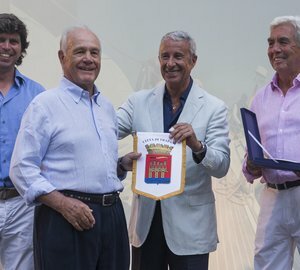 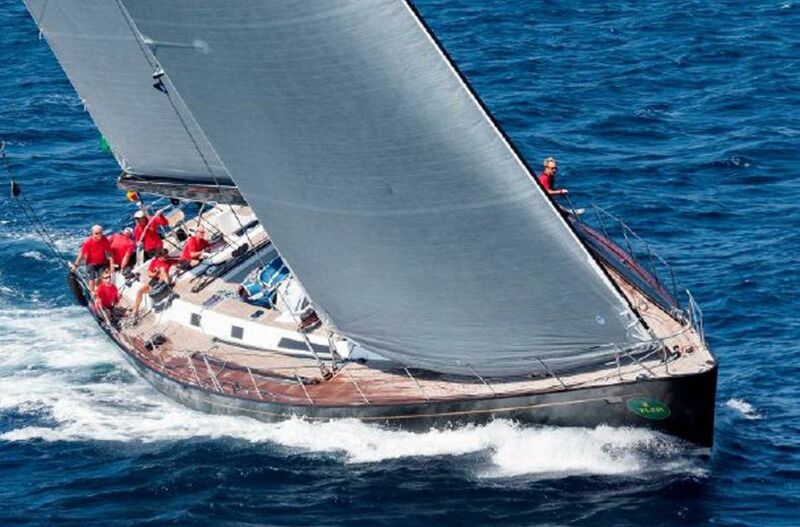 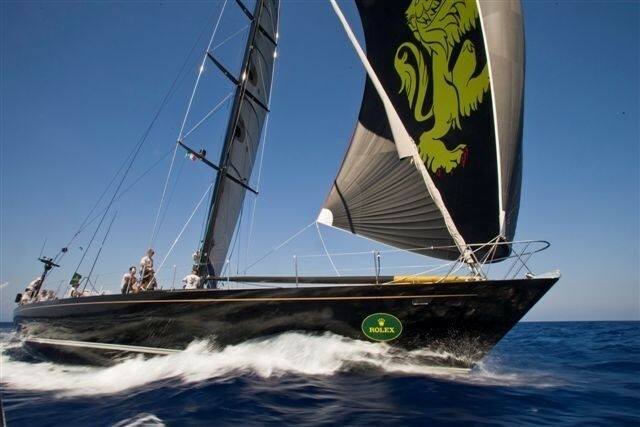 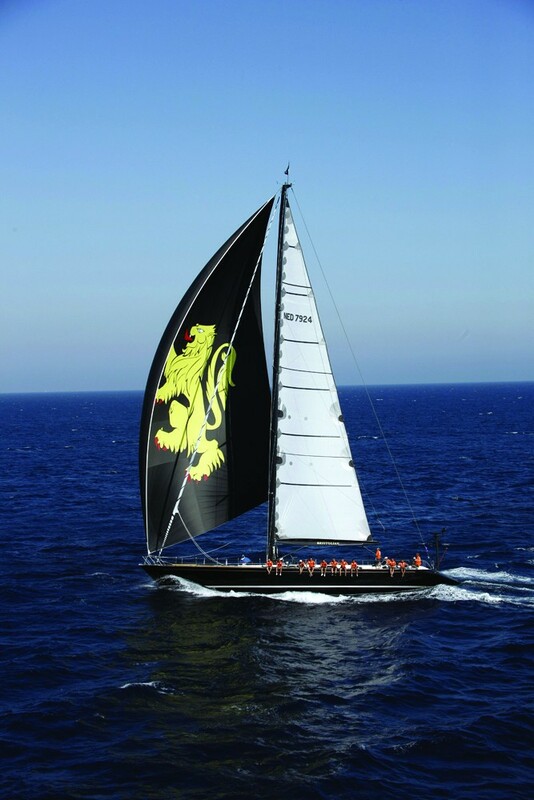 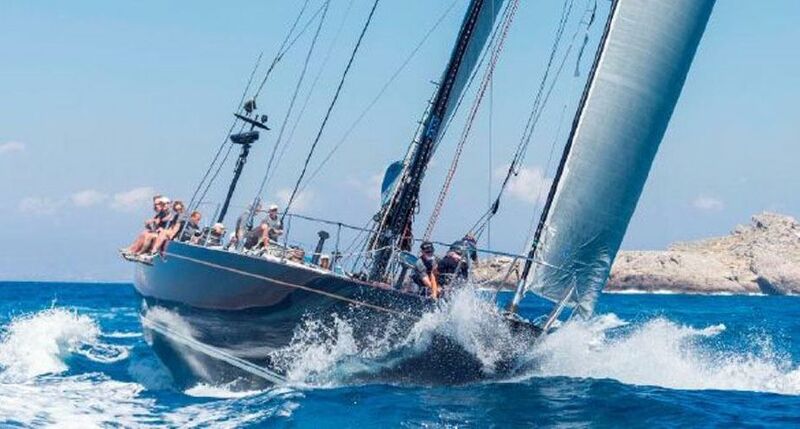 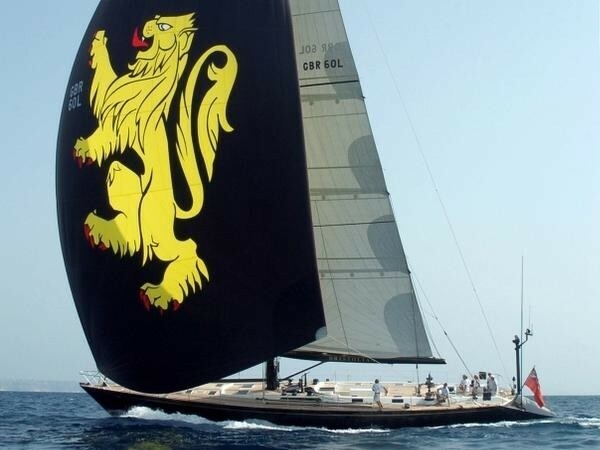 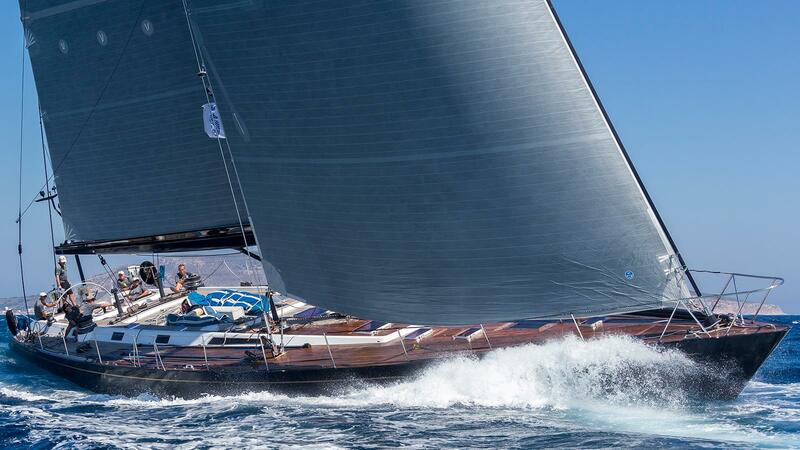 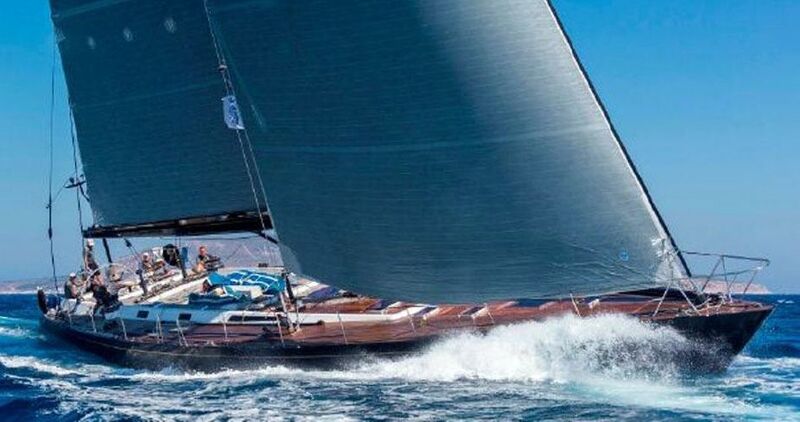 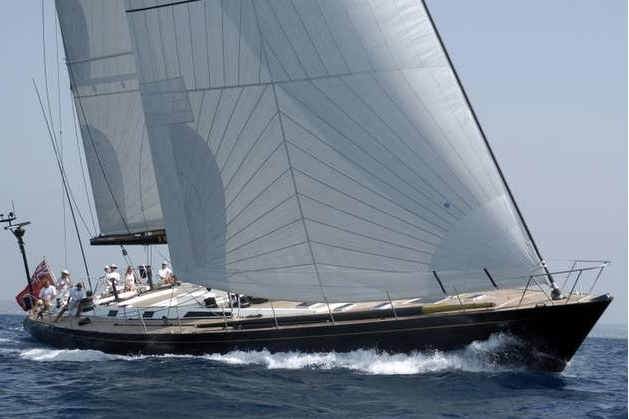 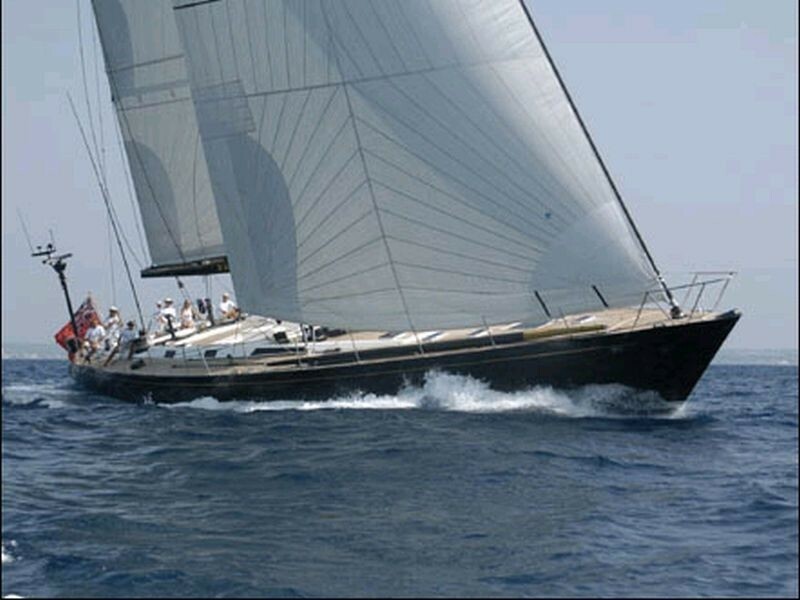 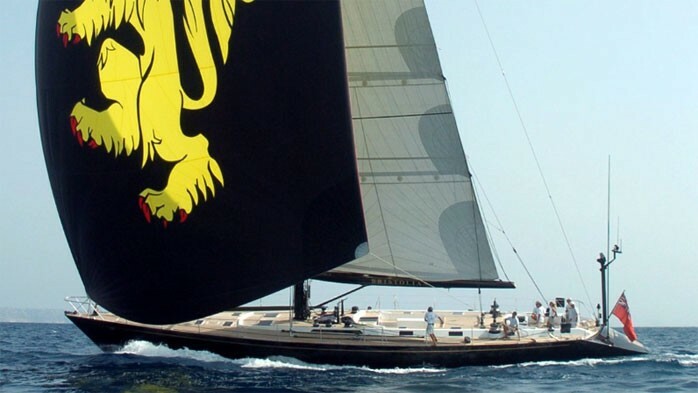 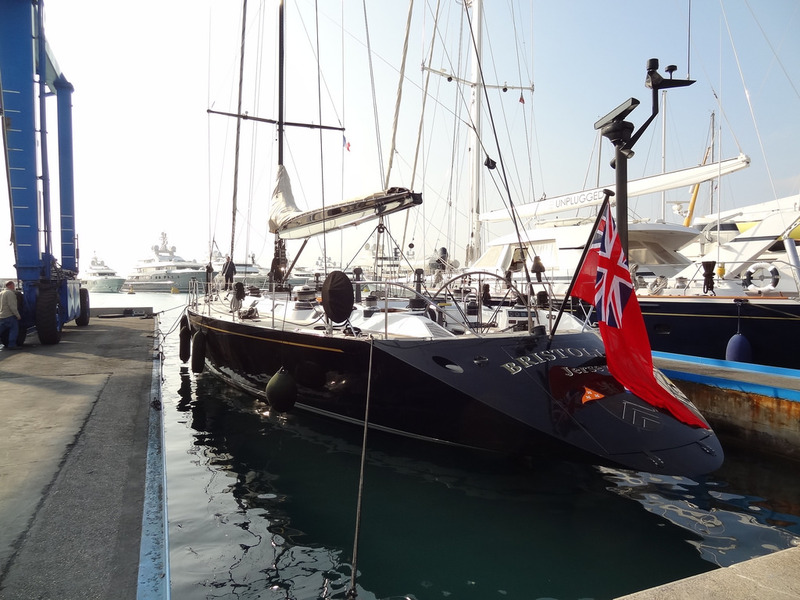 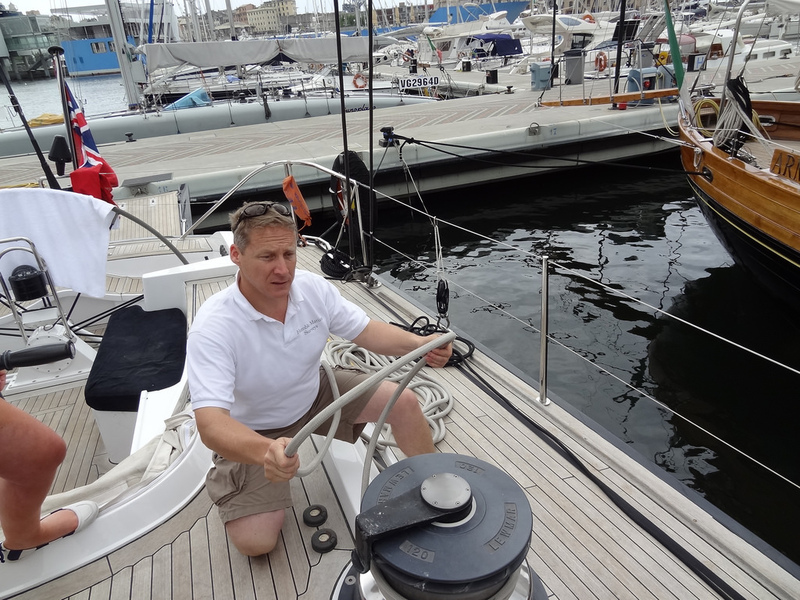 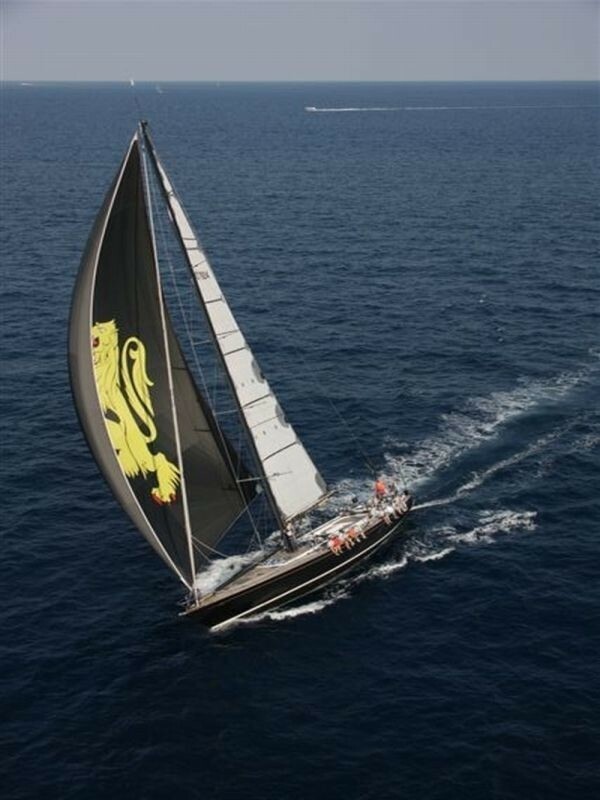 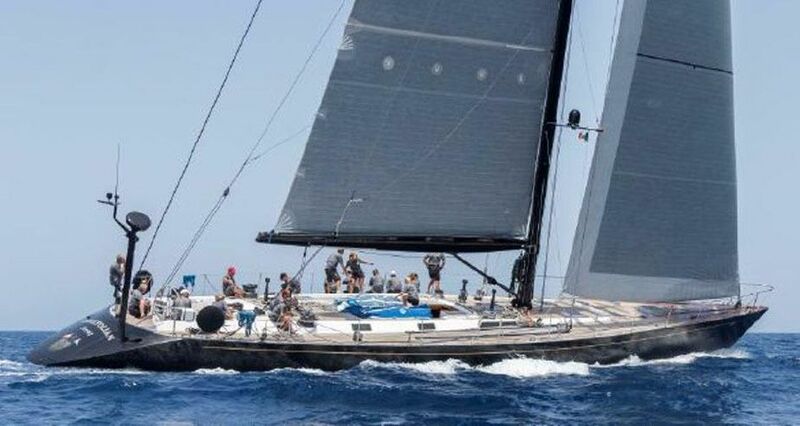 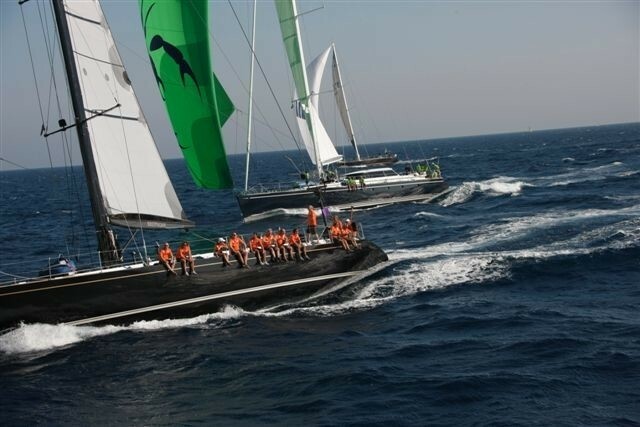 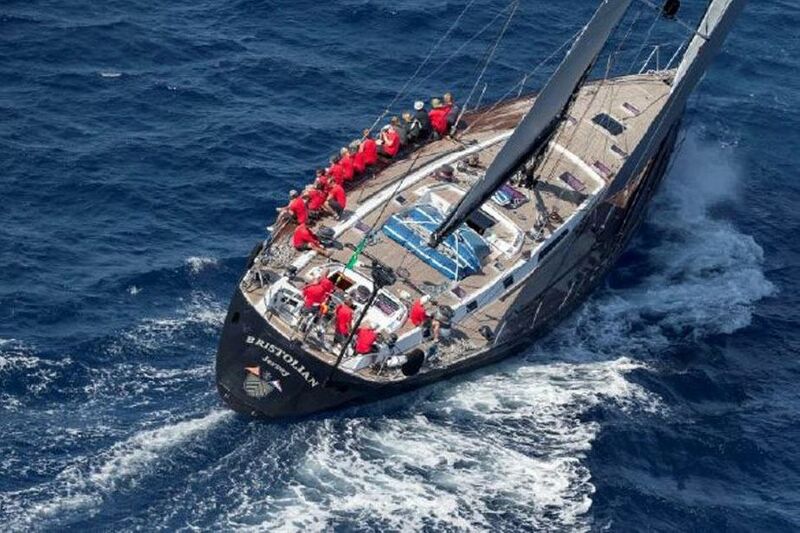 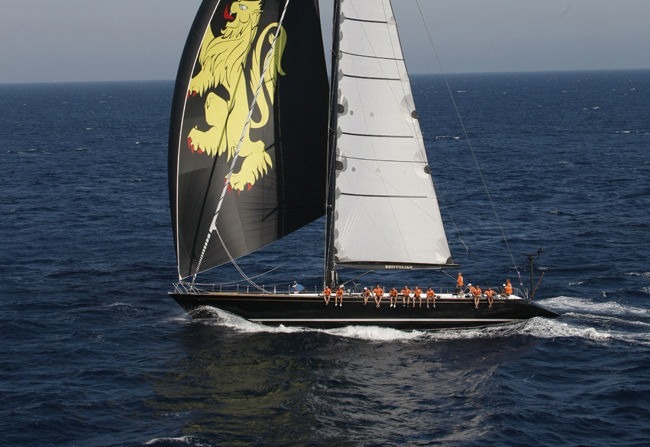 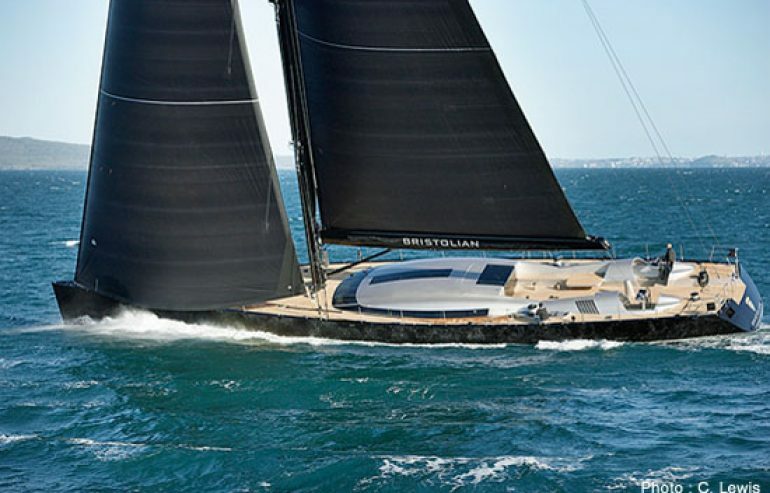 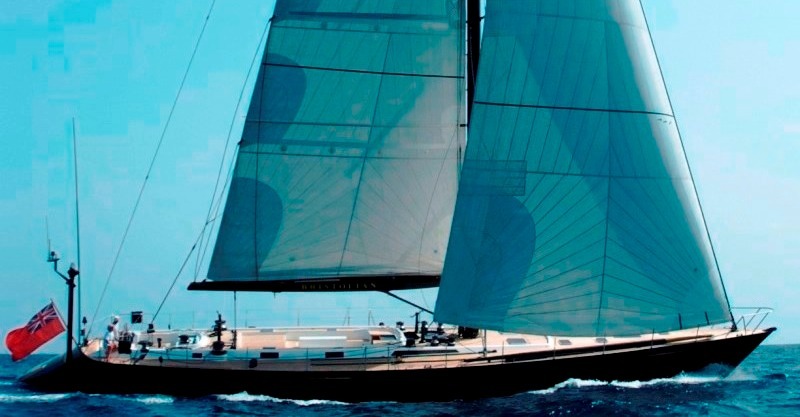 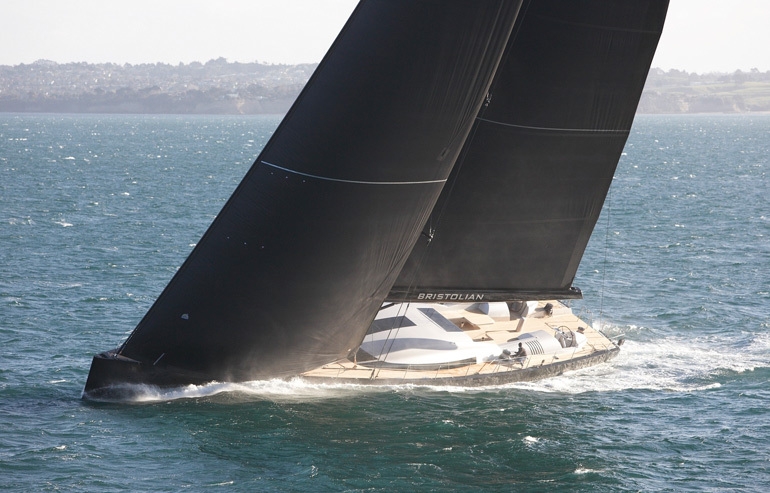 The brief to German Frers and CNB was to achieve a combination of a luxury cruising yacht with racing thoroughbred. 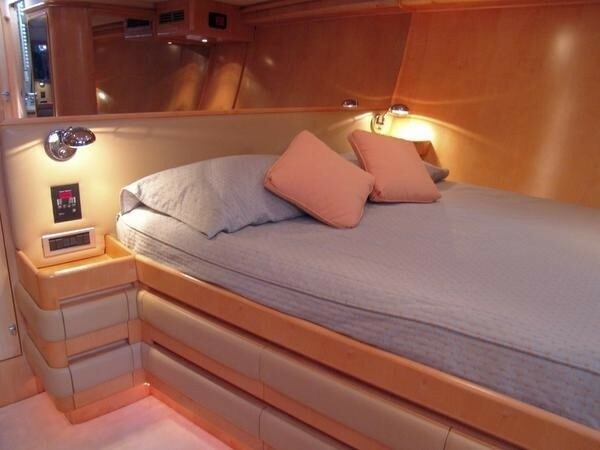 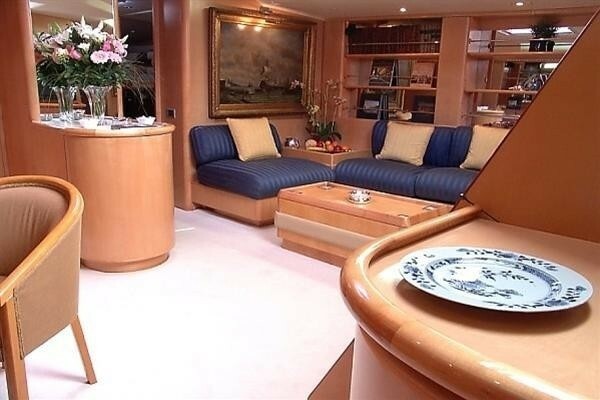 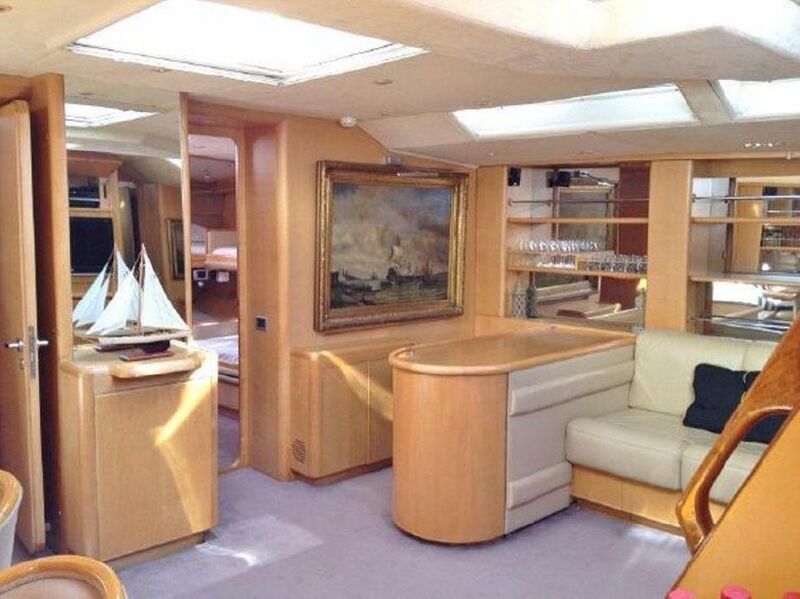 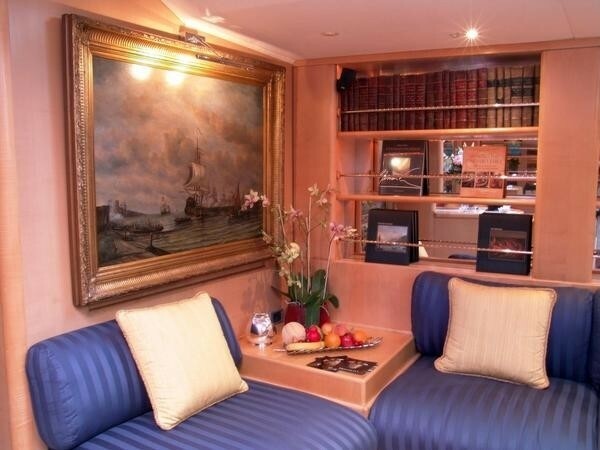 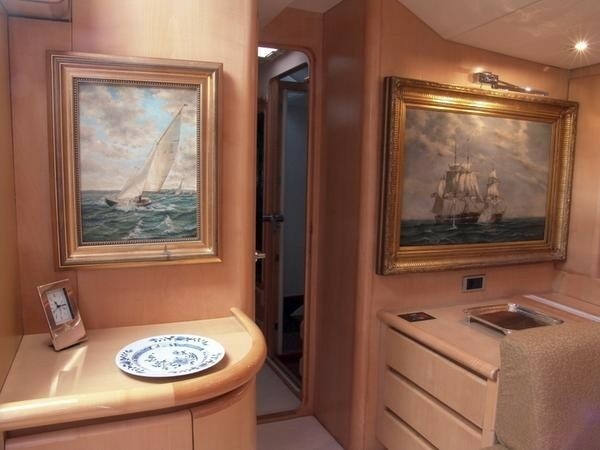 The luxury cruising sloop has a comfortable salon with a dining area to port and lounging area to starboard. 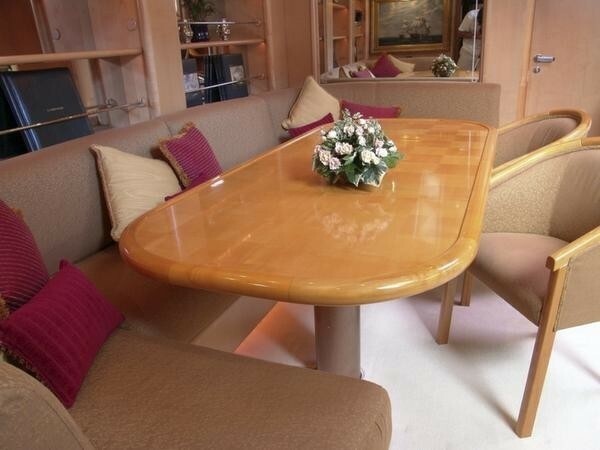 There is also the opportunity to dine al fresco in the cockpit. BRISTOLIAN accommodates up to 8 guests in well appointed ensuite cabins including 2 double and 2 twin cabins. 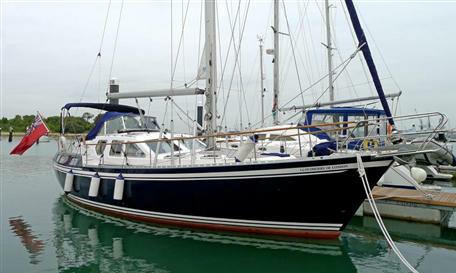 A major refit in 2002 included new teak decks, Carbon rig and boom, modifications in cabins, etc and in her new ownership new Standing Rigging Navtec Nitronic rigging 2009, Spectra Carbon sails by North new and 2008, new complete rudder and bearings, 2008 and new forward Northern Lights generator and exhaust system, 2009 etc. 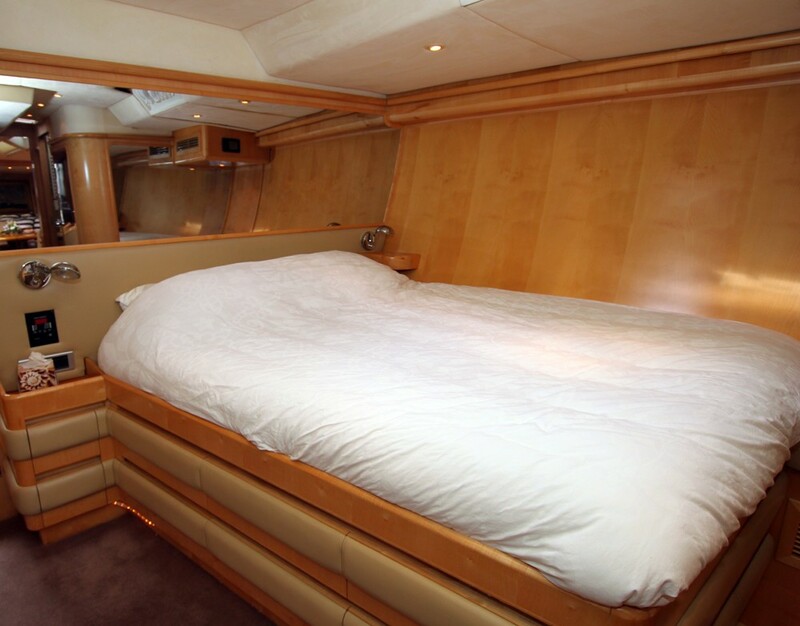 The interior changes and upgrades have modernized the style and improved the already high level of comfort for all on board. 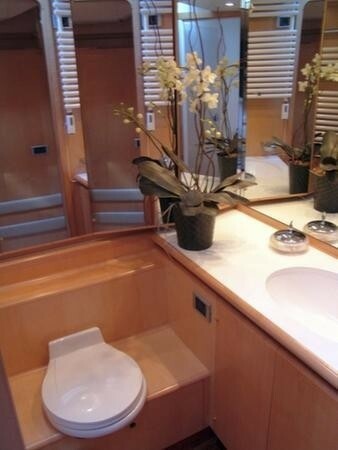 She has all the appliances and conveniences demanded of a modern yacht. 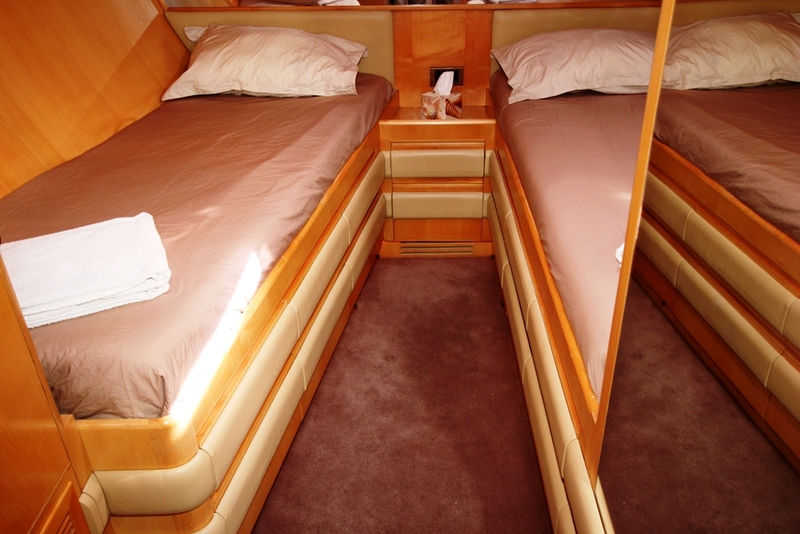 Changes were made in every cabin, improving storage, bed sizes, and other details. The galley was completely redesigned, rebuilt and newly equipped in order to provide a 5-star service for her owner and guests. Great care and expense were taken to ensure she had very efficient air conditioning – such that not only was the system all renewed but the hull was newly insulated. 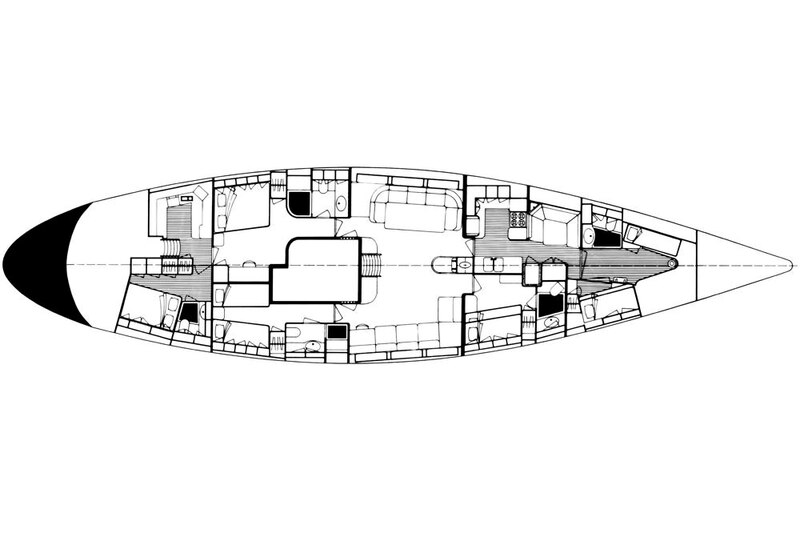 She has all the required safety equipment and it is all in service, as are all of her systems – she is ready for a circumnavigation. BRISTOLIAN can accommodate up to 8 guests in well appointed ensuite cabins including 2 double and 2 twin cabins. 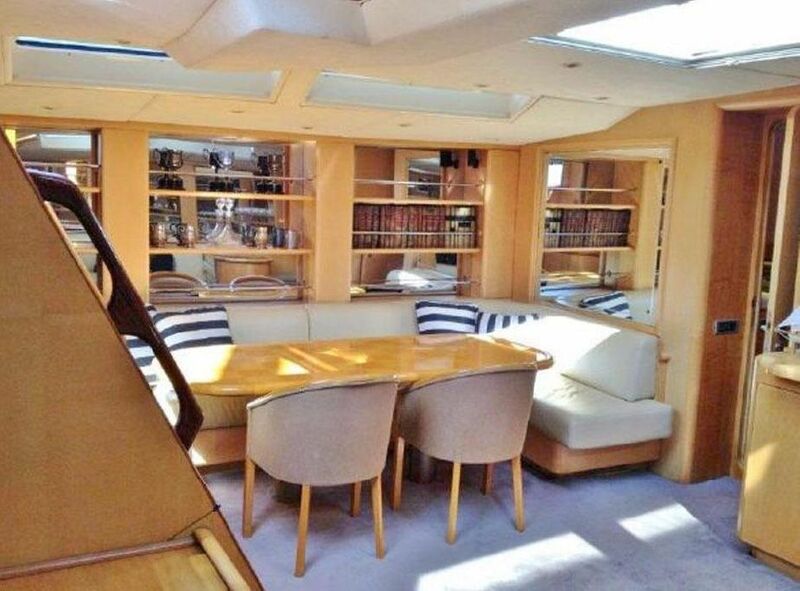 The following extras and amenities are available on board: Her Tenders and Toys include a 2,40 meters (2009) tender with a small console and a Yamaha 40hp, 4 Stroke 2009. 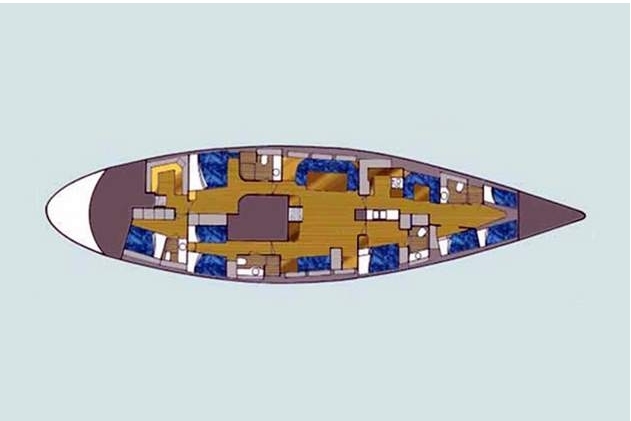 Communications include SSB: Skanti, VHFs: Icom, Radar: Furuno, GPS: Furuno, Trimble Electronics, Auto Pilot: Segatron, Sat C: Thrane and Thrane, Satcom: Mini M voice & fax and email, Phone System: Panasonic PABX, Ericson fixed terminal F251m GPRS Internet, Nokia fixed, terminal system GSM voice and fax. 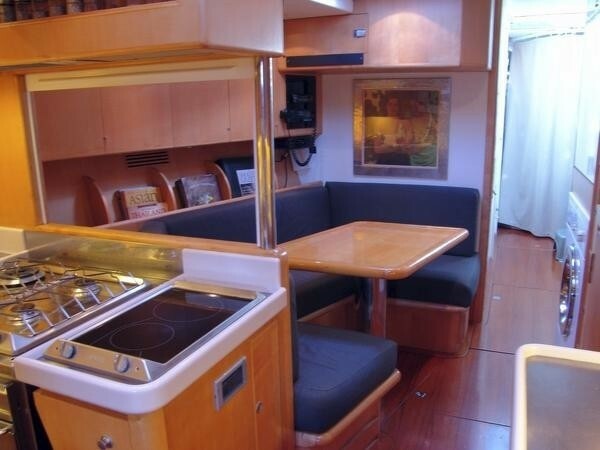 Audio Visual Equipment and Deck Facilities include Stereo Bose Lifestyle, touch screen remote, one interior and 2 exterior area, DVD Player Sony single disc, multizone, DVD Player Sony 301 disc carousel, multi zone.